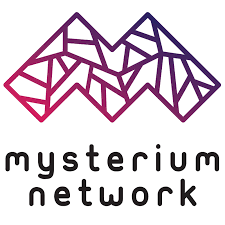 The Mysterium Foundation is developing the Mysterium Network to provide a decentralized, open-source VPN Network. The network will allow people to share their unused network traffic with customers who are looking to buy VPN service. Mysterium is trying to address the issue of user privacy in a world where many, including governments are attempting to gather as much information about all users of computers, networks and the internet. Although many say that the only reason a person would need encryption is to cover up some illicit and illegal information, Mysterium and probably most of us would disagree. In their whitepaper (link below under Resources) they give 6 examples just to give you an idea of why someone would want to use encryption, that have nothing to do with illegal activities. They range from personal privacy needs, such as activists, people on vacation to business security to avoid corporate espionage. MYSTERIUM NETWORK – Decentralized VPN powered by Blockchain from Šarūnas Savickas on Vimeo. So how will Mysterium address the issue of user privacy through their network? Phase one of the project is to develop, on the Ethereum Blockchain, the network using existing technologies for VPN and proxy protocols as well as smart contracts and a decentralized database. Once Phase one of the project is complete the VPN capabilities of the network will be on par, or more advanced than what is currently available. Phase two is to build the Mysterium protocol by taking user data and burying it deep within the network without the ability for it to be traced or censored. Once phase two is completed, the capabilities of the network should be more advanced than available technologies today, in its ability to secure user identity and information. We are not going to explain at length the development of the network in technical terms. You can read through the whitepaper for all the details. Mysterium will issue the MYST Token during its ICO (detailed below) as an integral part of the network platform. The tokens will be the “money” behind the users ability to buy and sell network capacity with the majority of the funds going to the seller of the network capacity and a small part to be used to continue to develop and support the network. Initially these fees will be in MYST but that is subject to change by the network. There is no clarity what “subject to change” means and I assume they will clarify in the future, but is an unkknown. MYST can be bought in ETH, BTC and various fiat currencies via Bitcoin Suisse AG. Before the SoftCap there is a 20% price bonus, where 1 CHF (equivalent in ETH) will buy 1.2 MYST tokens. After SoftCap is met, the price will increase by 20%, with 1 CHF buying 1 MYST token. As per the timeline below (from Mysterium Network’s website) Mysterium Network is planning on a second token sale in 2019. The Mysterium Initial coin offering didn’t last long. The decentralized VPN platform raised the hard cap of 14,000,000 CHF in under 45 minutes. The token sale will help them reach core development, sales, operational and legal compliance goals.